1. A unified solution on which to build your business that allows for more efficient processing, the most productive, the management of the entire lifecycle of the customer and the ability to obtain a true picture of the company. 2. SMB-centric: specifically designed to meet the business management needs of organizations and divisions of large enterprises and small-to-medium size. 3. Integration ready out of the box: integrates quickly and cost effectively with third-party applications through the API, secure, standards-based web services. 4. Full CRM suite includes exceptional functional breadth and depth through sales, marketing and customer service. 5. Modular: deploy as needed for your organization and add modules as your business grows. 6. Easy to use: intuitive interfaces and the quick start guide, ensure user adoption and productivity from day one. 7. Customizable user: customization capabilities give users instant access to the exact information they need in a format that makes sense to them. 8. Easy to deploy and maintain: fully web-architected Sage 300 ERP can be deployed quickly and cost-effectively whether it is on-demand (hosted) or on-premise, and in many places where it is required. 9. Flexible deployment choice: move from on-premise to the card or vice versa as business requirements change. 10. Gives direct processing: reduces or eliminates the need to re-key and re-verify the information as it passes between the front-office to office environments. 11. Superior Architecture: flexible and scalable - grows with your business - 100, 200 and 500 editions scale painlessly and cost-effectively to business growth. 12. Low cost: offers low total cost of ownership of companies, regardless of the requirements of complexity, scale or implementation. 13. On the basis of a simplified technology platform that offers the freedom of choice when it comes to operating systems, server and user as well as databases. 14. Internationally supported: supported by a worldwide network of regional operations Sage and certified partners. 15. Multiple languages (5 out of the box) and the language selected by the user. 16. Compliance with various laws and accounting practices enabling global business management within a system. 17. Full support sub-ledger in multiple currencies. 18. Sophisticated between companies and consolidation simplifies processing transactions between business entities. 19. Vertical ready: with the support of a global network of development partners with deep regional and specific industry experience. 20. The automation of processes ready: Outside the Box, Sage 300 ERP provides extensive automation of business processes across the organization and can be adapted quickly to capture new processes or modify existing ones. 21. Business performance focused: offering a comprehensive portfolio of business intelligence, customizable user snapshots, reports and alerts messaging to ensure real-time visibility of key performance and other commercially significant trend indicators. 22. A network of business partners help customers succeed. 23. Cost saving efficiencies in the warehouse and integration with global supply chains. 24. Project and Service Management provides powerful real accountability from a central point to help you manage the resources, products and services your company offers. 25. Proven, reliable and experienced. If you still need help making a decision on an accounting syste, or have questions about Sage 300 ERP and if it might fit your needs, please contact Equation Technologies. 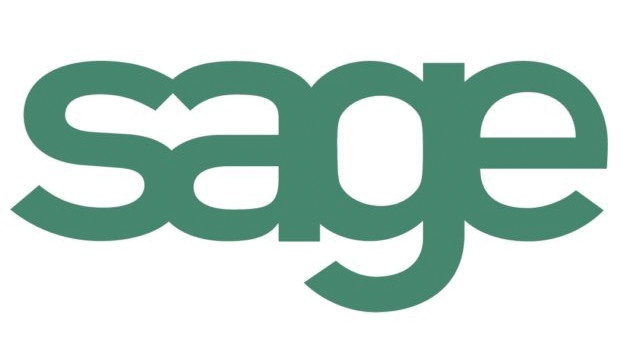 We are a certified partner of Sage and specialize in Sage 300 ERP.